There are many benefits to bringing a pet to work. They can boost morale, relieve stress, build a sense of community and get people out for regular walking breaks – all things that are good for health and collaboration. The good news is, more businesses are opening their doors to furry friends. And, we’re encouraging even more employers to join the movement with a free Pets Work at Work toolkit to help. 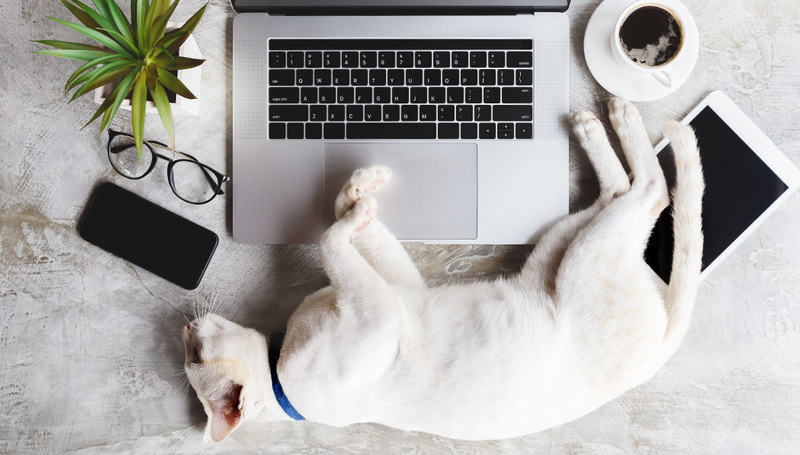 Whether your company has had a pet-friendly program for years or is trying it for the first time, we hope you’ll participate! But to succeed at work with your pet, you’ll need to plan ahead. Here are eight tips to help you make the most of your workdays together. 1. Start off on the right foot…er, paw. 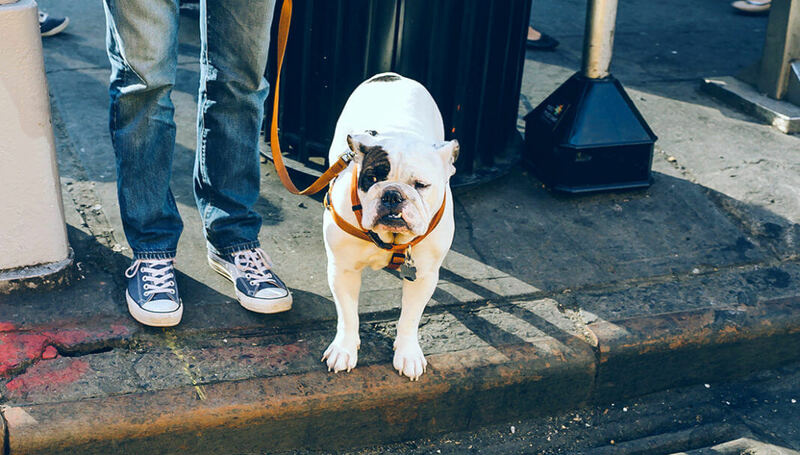 First and foremost, get permission to bring your pet to work. If your workplace doesn’t have a pets-at-work program, advocate for one. 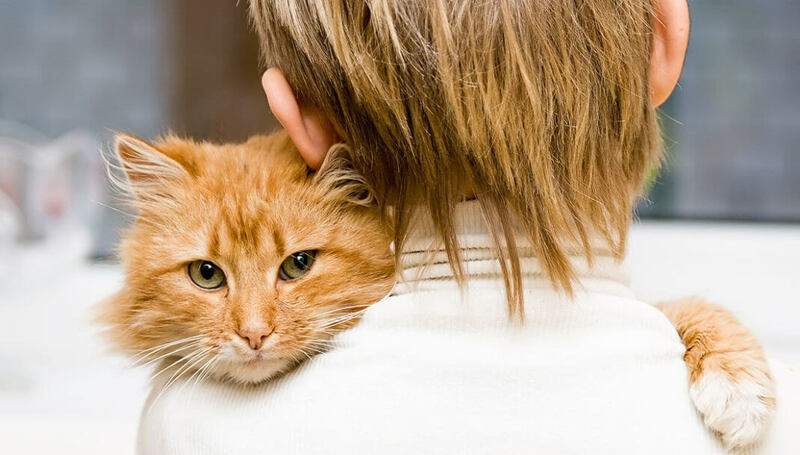 Don’t try to sneak a pet into your workplace, as that could put your job and your pet at risk. Also, talk with the colleagues who work close to you and make sure they’re comfortable having your pet nearby. If they have concerns, look for ways to compromise. Having pets at work is great! But if it hurts your ability to get work done – or that of your coworkers – you’ll need to work through it before you proceed. 2. Consider your pet’s personality. 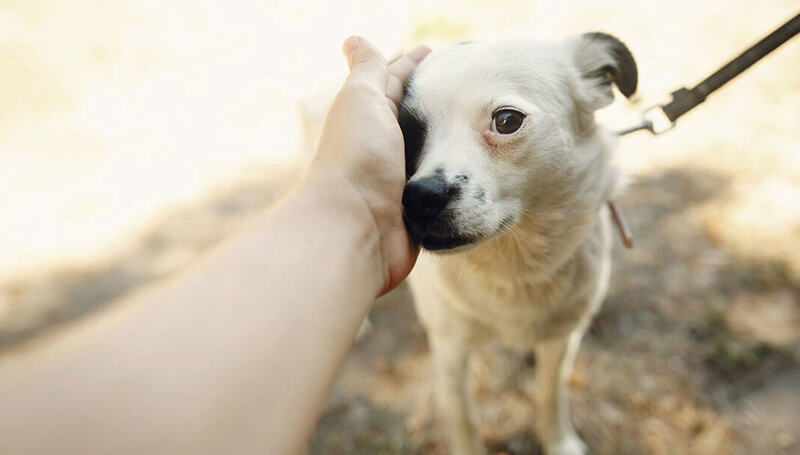 Make sure your pet enjoys meeting new people, and the other pets that are likely to be at your workplace. If she tends to be anxious in new environments or uncomfortable with unfamiliar people or pets, she might be happier staying at home. Think about what’s best for her and consider a short trial visit before jumping in to a whole week. 3. Make sure you’re ready to bring your pet to work. To protect your coworkers and their pets, make certain your pet’s vaccinations are up to date. If you aren’t sure, contact your veterinarian ahead of time and get any needed shots. Also, make sure your pet is groomed for success – just like you! 4. Training matters everywhere, and especially in public places. 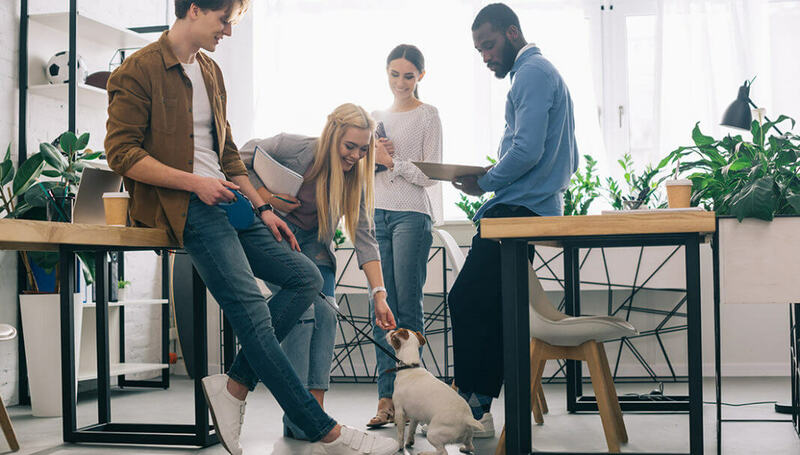 Before you bring your pet for a visit at your workplace, make sure he follows important behavior cues like “come,” “sit” and “stay.” Check out this article if you need training tips. Good behavior is key to a good visit anywhere you go. 5. Pack smart for a fun and safe workday. Plan a bag of supplies for your pet’s big day at work. Include dog food for her regular meals, treats and bowls for food and water. Add a couple special toys to help keep her occupied, and a favorite bed or blanket so she can rest comfortably when it’s time for a nap. 6. Take breaks to keep your pet comfortable. 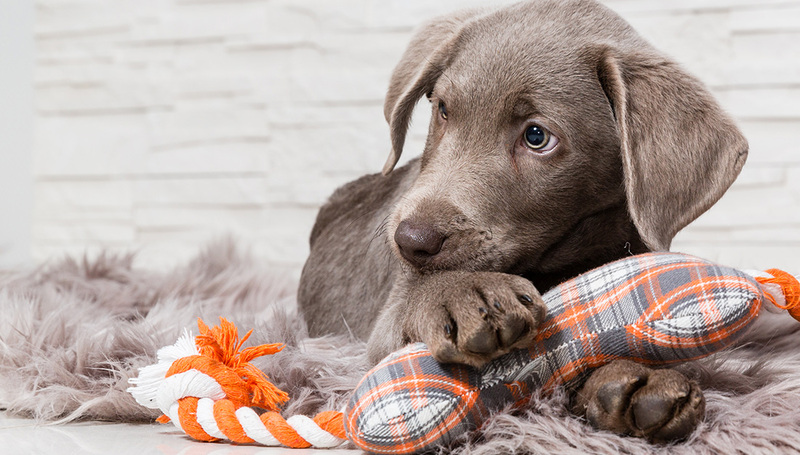 You’ll want to be sure to give your pet bathroom and exercise breaks throughout the workday. And, always clean up after your pet. Bring cleaning supplies, paper towels and doggie waste bags to help. Dispose of waste in designated containers only. 7. Watch out for workplace dangers. Check your work space for potential dangers to your pet. Figure out ahead of time where she should and should not go. For example, don’t let her go in designated pet-free zones like cafeterias, employee bathrooms or production areas. And, keep her away from workplace hazards like heavy equipment and potential pet poisons like cleaners and plants. 8. You’re the boss! Keep your pet close by. When you bring a pet to work, it’s your responsibility to make sure he stays safe and doesn’t negatively affect anyone else at work. Your employer will probably have you sign a participant pledge to reinforce this. During the workday, use a gate, leash or crate to keep your pet in your area, cubicle or desk space. Also, arrange in advance for a colleague to watch him if you have a meeting where he can’t tag along. Bringing a pet to work makes the workday great. We hope you’ll try the pet-friendly program where you work, or help make the case for one if there’s not one in place. 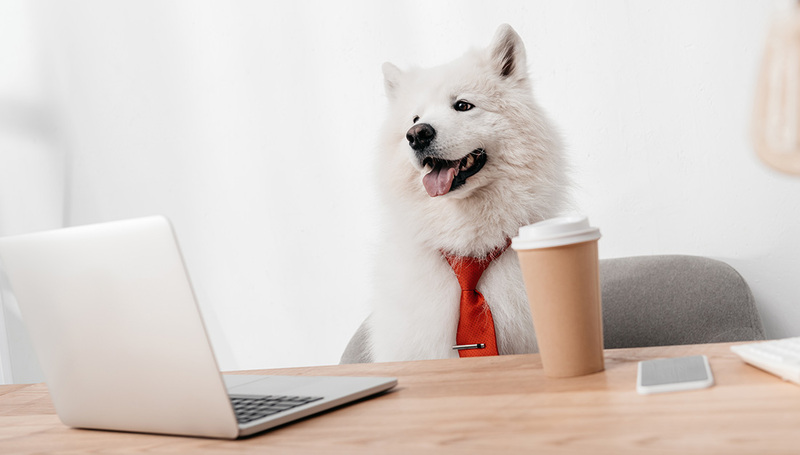 Our free Pets Work at Work toolkit has everything you need to get started, from lists of benefits of pets, to facilities considerations, to a sample workplace pet policy. Do you bring your pet to work? Or want to? Share your thoughts on social media with #PetsWorkAtWork. We’d love to hear from you!